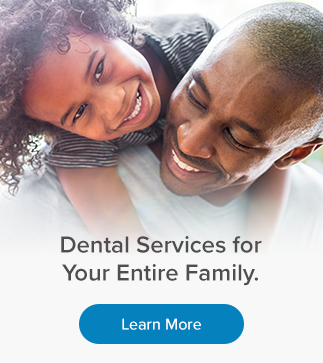 There are several reasons our family dentists may recommend a filling. A bonded filling might be necessary if decay needs to be removed from your tooth, if a filling needs to be replaced, or if a tooth has cracked or been damaged. Sometimes a tooth chips or a cavity occurs. It happens. But there is no more need to have unsightly fillings which stick out like a sore thumb! Tooth coloured fillings use advanced materials to bond the area with a material that is both durable and well matched to your existing teeth. This effectively hides the area by blending it in with the rest of your teeth. Dental tooth fillings are typically used for cavities, but may also be employed in the repair of cracked or broken teeth or teeth worn down due to misuse such as nail biting or teeth grinding. At RV Dental in Thornhill, your dentist will typically remove the decayed portion of the tooth then fill the area of the tooth where the decayed material was removed. Dental tooth filling materials can include gold, porcelain, silver amalgam – mercury mixed with silver, tin, zinc and copper – or a tooth-coloured composite resin of plastic and glass called a bonded filling. At RV Dental bonded fillings are typically used as they more closely approximate natural tooth colour. What happens at my filling appointment? Your RV Dental team will begin with the introduction of a local anesthetic on the area around the tooth or teeth to be filled. Following local anesthetic, all decay surrounding the tooth is removed and the tooth is prepared for the dental filling by etching the surface, allowing the filling to bond completely to the tooth surface. Once the bonded tooth filling has completely adhered, the surface of your tooth will be polished thus ensuring the texture of the filling is consistent with the colouration and surface of your tooth. What happens after my filling? Many patients may not perceive any noticeable difference following their tooth filling. In cases where dental anxiety is an issue, please confer with your RV Dental team to determine the best and most comfortable treatment for you. Your care, comfort and dental treatment are always our foremost concern. To schedule your next dental appointment or if you have a question about any general dentistry service including dental tooth fillings contact us!